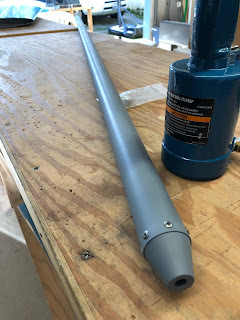 I was going to install the rear push rod to the elevator today. I had previously drilled the ends and primed the push rod. Today I had to adjust the ID of the push rod at the ends to get the end cones to fit after priming. Then I pulled rivets- I really like using the pneumatic pull riveter. I think it does a much better job than then manual pull tool. I started to install the pushrod and discovered I was missing the AN3 bolt needed to attach to the elevator. 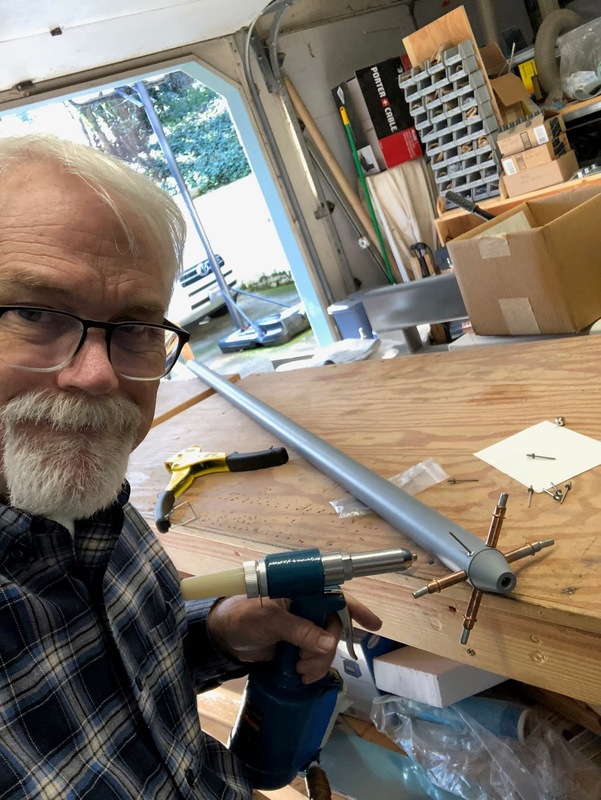 I ordered an assortment of AN3 and AN4 bolts from Aircraft Spruce so I can have extra bolts on hand for finishing up the airplane. I'm discovering that as I get towards the end of the kits all those bags that were bulging with hardware are now empty and occasionally I'm ending up short- probably because I've misplaced pieces along the way. We are having an unseasonably warm winter. I have a season ski pass at Homewood Ski area that I haven't used once due to lack of snow. The last week the daytime highs have been in the low 70's and there is no end in sight for the high pressure over the west coast. I decided now would be a good time to get after some of the fiberglass work in chapter 12. I've done a lot of fiberglass work in my life and I no longer look forward to the itchy, smelly, messy work but it has to be done. The parts provided in the kit are nicely done and for the most part seem to be accurately molded. 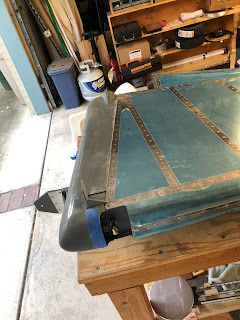 I started out trimming the bottom fairing for the rudder today using the bandsaw and dremel. Here's the first pass at trimming. It still needs some fine tuning to get a snug fit.